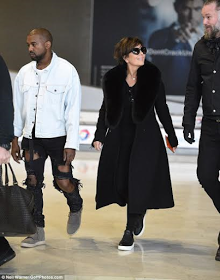 Hey!Laura: All hail king Ye as he steps out in ripped jeans. 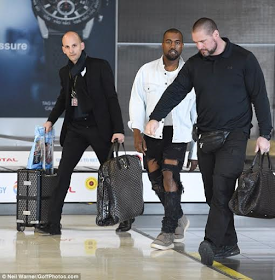 MADNESS of the highest level...... just because you be celebrity you will be thinking everything you wear is sane....... ..
Kanye is definitely out of his mind.what d hell is he weearing? Eccentric being ! I love love the jeans. 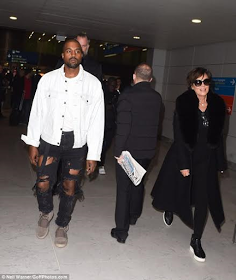 Rat don chop dis trouser..
Dy said it now ripped jean.